Should More Calgary Landlords Accept Pets? Calgary’s rental vacancy rate has fallen to an estimated one per cent. That has created an unexpected consequence. The Calgary Humane Society is reporting a significant increase in the number of pets being placed for adoption by tenants who say they can’t find pet-friendly housing. While a large number of landlords continue to prohibit allowing pets in rental properties, the popularity of owning pets has increased. The result: a growing number of homeless pets, and devastated tenants who now have to choose between abandoning their animals and finding a place to live. Given the circumstances, should Calgary landlords strive to be more pet-friendly? Landlords have good reason to be wary about pets in rentals, including potential damage to the property and the preferences and safety of other, less pet-friendly tenants. Unfortunately, not all pet owners are responsible. It’s difficult for landlords to minimize income loss without punishing all tenants with pets for the actions of a few. However, there are some advantages to allowing pets that can help balance the risks. For instance, a pro-pet policy may increase tenant retention, and that can lower turnover costs. Also, statistics prove that many responsible, qualified tenants also are pet owners. 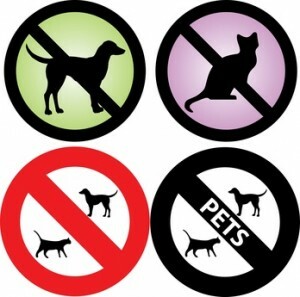 A no-pets policy can have the unintended affect of discouraging the best tenants from applying. Landlords who are receptive to the possibility of renting to pet owners can take steps to protect their investment and at the same time attract quality tenants and increase tenant retention. specific details about classes or their experience handling the animal. If so, then it’s less likely to be a problem. The size or breed of the animal is not a reliable way to regulate pets. It’s better to evaluate the individual pet, considering factors like its energy level, need for attention, and temperament. Whether or not the animal misbehaves depends on the owner’s level of responsibility. Focus on the tenant, not the pet. Create a checklist of questions to ask about the pet. For instance, is the animal up to date with vaccinations? Has it been neutered or spayed? How would the tenant describe its temperament? What is the animal’s daily routine? After a few questions, it will become apparent how well the tenant knows the animal and anticipates it’s needs. Depending on local law, landlords may be able to charge an additional pet deposit to cover damage. Ask for assurances from the previous landlord that the pet remained under control and did not cause damage.